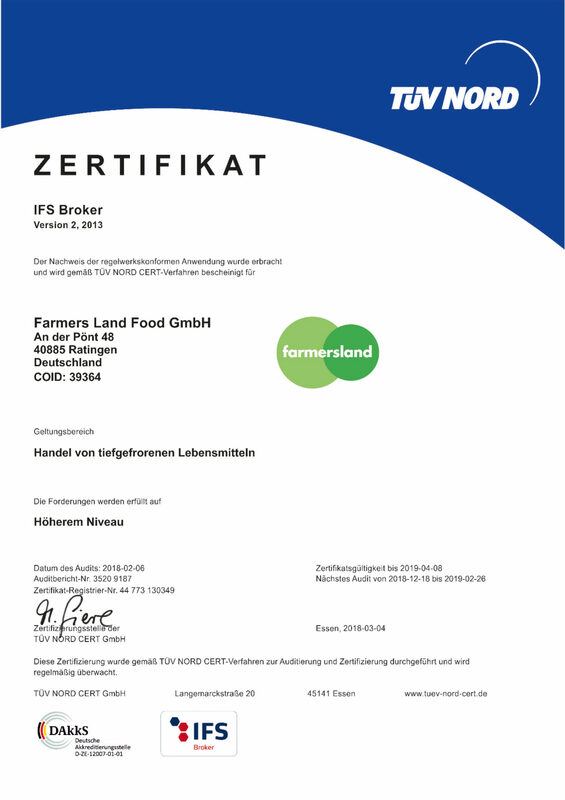 Farmers Land Food GmbH is certified as a trading company in conformity with IFS Broker rules. In selecting suppliers, we always ensure that they, too, are certified to international standards, such as ISO, IFS or BRC, and implement and maintain corresponding quality management systems. Quality assurance is taken care of by a closely meshed system of monitoring in Germany, Asia and America, plus collaboration with laboratories worldwide. Farmers Land Food GmbH operates in conformity with the principles of sustainability. Therefore, if desired, fish and shrimp/prawn products can be ASC and GlobalGap certified. 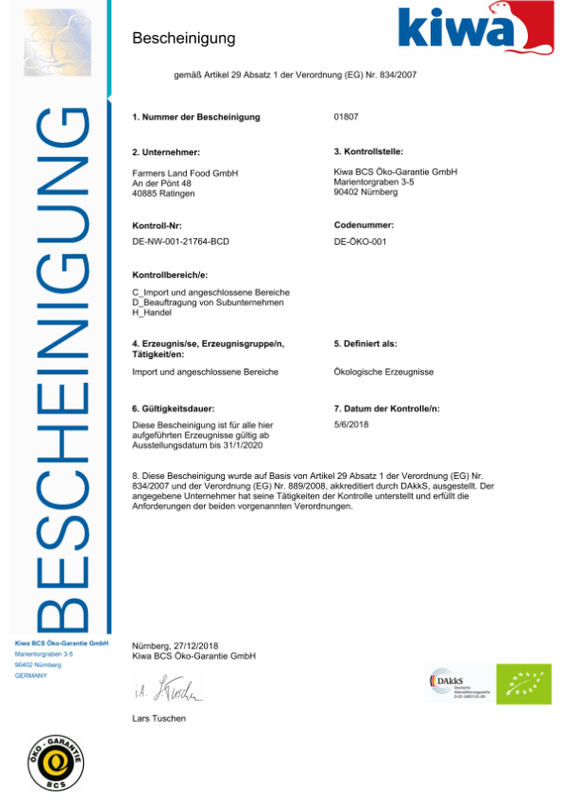 Additionally, Farmers Land Food GmbH holds EU organic certification. All suppliers are subject to a careful selection, control and evaluation.